While aesthetics typically comes first when designing the interior of a building, people are becoming more and more conscious of noise than ever before, which is why acoustics are becoming an increasingly important consideration. In an effort to maximise space, buildings are also becoming more multi-functional. Today’s conference area could be tomorrow’s open-plan office, a reception area or vacant room in a house could easily be transformed into a movie room or recording studio. The fact that the function of a space is not static, the demand for interior wall solutions and finishes, requiring solutions that are flexible, interchangeable and that offer acoustic properties together with a wide range of fashionable aesthetics is fast increasing as a design and architectural influence. 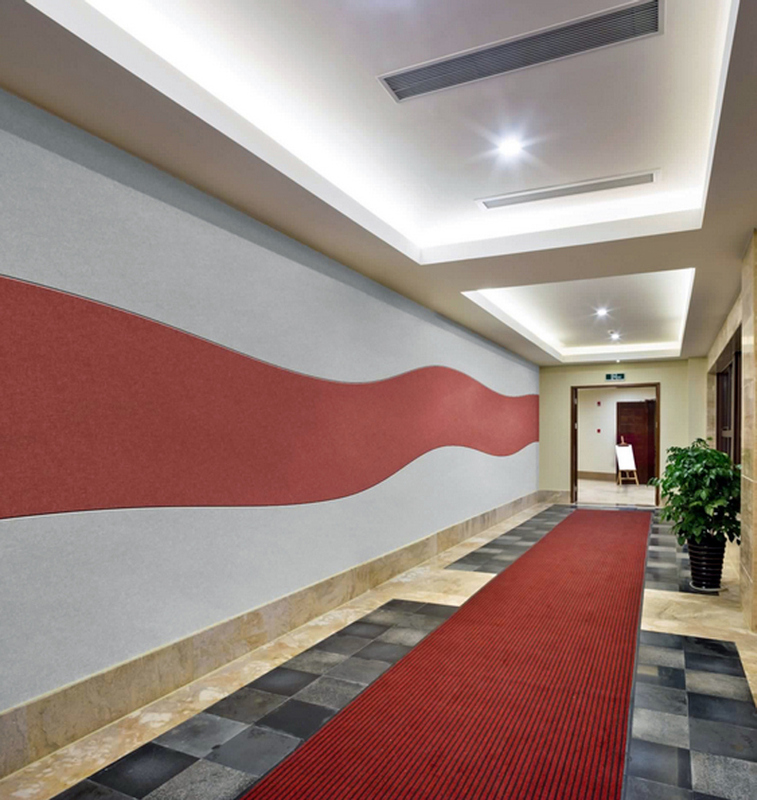 Fabricmate absorption panels in a hotel hallway. Permitting flexible room layouts to a height of up to 12m, Variflex mobile acoustic partitions make it easy to subdivide rooms or temporarily enclose meeting venues or conference facilities, allowing complete privacy in adjacent spaces. Thanks to the overhead track, the individual elements can be parked neatly to one side or into a niche, with no disruption of the floor finish. With various options in its Glassflex range, Aluglass Bautech’s specialised glazing products offer a turnkey solution for facades, curtain walls, windows and doors. 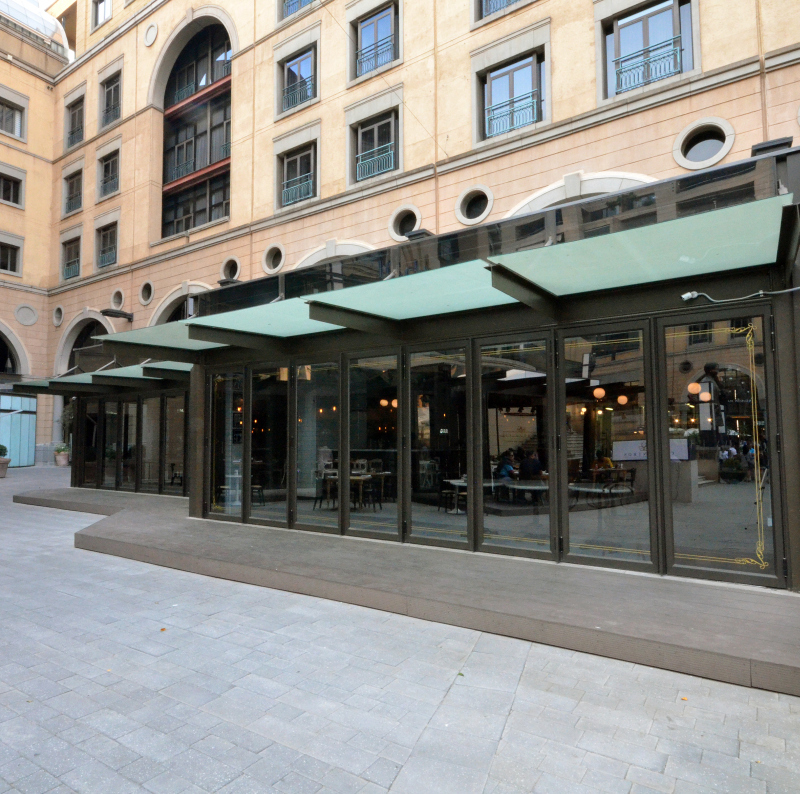 However, some glass design requirements need framing, therefore Aluglass Bautech has partnered with HBS Aluminium Systems to provide optimal, framed aluminium and glass solutions. Glassflex acoustic range offers both insulation and acoustic properties, but without blocking natural light. These can make a big difference in containing noise in recording studios, hotels, restaurants, healthcare and educational facilities, shopping centres and more. Glassflex glass partitions used to open up an area without the use of a floor track. Quick and easy to install, remove and re-install with modular glass elements and flexible frame components, GF Serene is an ideal system to create quiet office spaces within open-plan applications. The system can accommodate heights up to 3m and 180° glass-to-glass joints, dry-joined with transparent VHB joining tape instead of using wet silicone. Decorative treatments such as sandblasting and decal applications are also possible. To reduce unwanted reflections and echoes in home theatres, auditoria, lecturing rooms, open-plan offices, receptions and many more spaces, Fabricmate acoustic panels can be fitted to walls or ceilings. These provide a lot of flexibility in design and are available in a wide range of finishes. Contact Aluglass Bautech for more information, technical product features and ‘QUIET’ advice. Caption main image: Variflex mobile acoustic partitions with an integrated Varikust door at Merck’s offices. These partitions are top-hung and can easily be moved around.